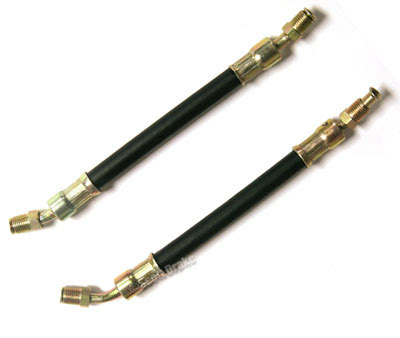 We now have the exact style 67-70 Mustang Short Power Steering Hoses. These are the hoses that fit from the power steering cylinder to the control valve. These are really nice. Each hose has unique bends on the end of each hose. Each hose is also a different length like the original. These will fit much better than the previous "replacement style" hoses that used to be the only ones available. Please keep in mind that the replacement style hoses are still available and are cheaper if you would rather purchase them. Please order Part Number SU1231.